How much is a Jumper worth? Primark Autumn/Winter 2015 collection have this rather nice Aran knit for £10. They don’t say what it’s made from but I’m guessing acrylic, probably made on a machine in a factory paying at the most minimum wage. For those buying it, I expect, it’ll end up worn for a short while and end up in a charity shop for the start of summer. Yeah, I suppose, from a distance no one knows it’s acrylic, and some might even imagine a relative with Irish ancestry knitting a traditional Aran just for their favourite niece or grandaughter. Maybe. 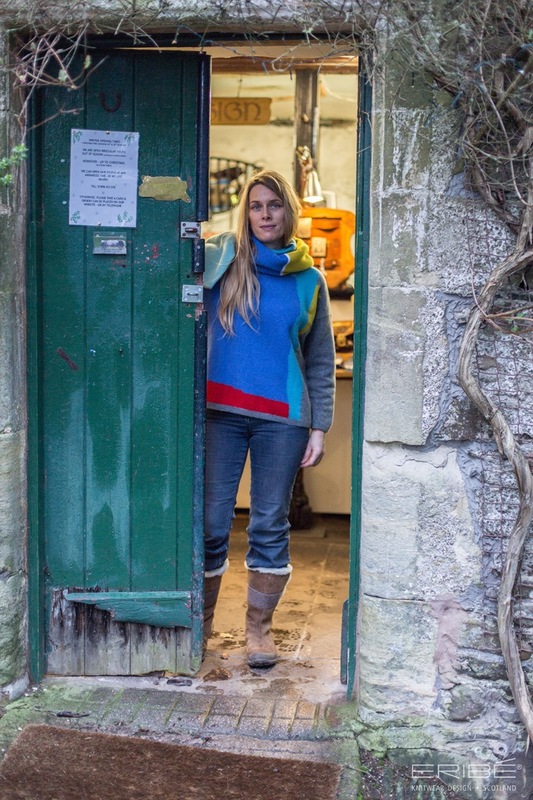 I recently heard a talk from Rosemary Eribe who runs a knitwear company in Scotland. Her jumpers start at £175 and I suppose when you have to choose between a £10 and £175 jumper most people would sit firmly on one or the other sides of the fence. For most it comes down to cost, and as someone who has spent the last couple years looking at and speaking about poverty I can hardly gripe at someone who feels £10 is a lot of money. But here’s a thought, how long will the acrylic jumper last? It’s designed for one season, and recently I’ve found myself sewing up seams for a neighbour who’s a bit partial to cheap clothing. Thankfully my neighbour has me next door who doesn’t mind sewing up a sweater seam (it’s always the seams). But for those who don’t live near by you could be paying another £10 to get that repair done. Then there’s the concience cost, as a person who’s experienced poverty I don’t like the idea that I’m climbing out of the pit by standing on the shoulders of someone else. You couldn’t even buy the acrylic wool to make a jumper for under a tenner, so somewhere, something is being cut. Actually, how many sweaters do you need? I don’t have any, I have a couple hoodies, still being a bit of a tomboy I guess. I’d like one, but I just haven’t found the one I want yet. Yep, I’d like one. Not a cupboard full, just one. I’d rather save and buy one perfect jumper than pay for a sweater every few months that will get thinner with every wash, isn’t insulated, so not warm in winter (which defies the point of one) and will last for a few years at least. Eribe sell hand knitted items, yep hand knitted, by Scottish knitters. A bit like the shreddies knitting nanas, but real. I like machine knitting (most of my degree seems to be on machine knitting) but there’s no comparison to a hand knitted jumper. I was in a class at Uni last year talking to a tutor about quality. I’m assuming the tutor isn’t a wool worker because she asked why I wouldn’t consider acrylic as a quality yarn. I gave no answer, where would I begin? Wool is a hollow fibre, which traps air keeping you warm. It has an amazing abilies listed in great detail on the Woolmark page. Words like Natural, warm and cool, odourfree, biodegradable, stain-resistant, static-resistant, breathable, soft and renewable all come to mind. You can have your £10 acrylic, that is man-made, doesn’t wick sweat away, doesn’t keep you warm… in other words doesn’t do the job a sweater is made to do. Or you can invest in a traditionally made, pure wool, UK made jumper that will last far longer than a one season fad. But here’s the other reason to consider jumping from the cheap side. Tradition. I’ve been considering my jumper for a while (I spent less time choosing my tattoo) I want a gansey sweater, you can get these knitted for you in Whitby for a reasonable cost. Y’see, my dad’s family were fishermen, and a gansey becomes a link to my heritage. The patterns on ganseys and arans were local to the place you came from, and I want to choose a pattern that links my family and me. 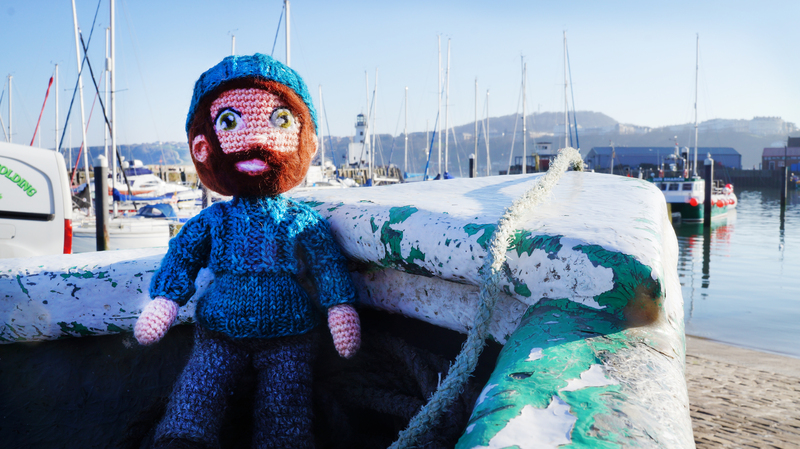 I want a heritage sweater that says I’m from fishermen stock, I have salmon fishing in my blood, but I also come from a Christian family, so I want to include a pattern that recognises that part of my life. That’s what these patterns did, they told stories. I want my jumper to be more than “that’s what we’re wearing in 2015” but a story of a family, a heritage. Suddenly £175 doesn’t seem all that much (and lets be honest, a tattoo often costs much more). Of course, for those who still think the price is far too high, you can always take up knitting and make your own. That’s what I might end up doing, I’ve been spinning a lot of Bluefaced Leicester recently in a blend of natural sheep colours.